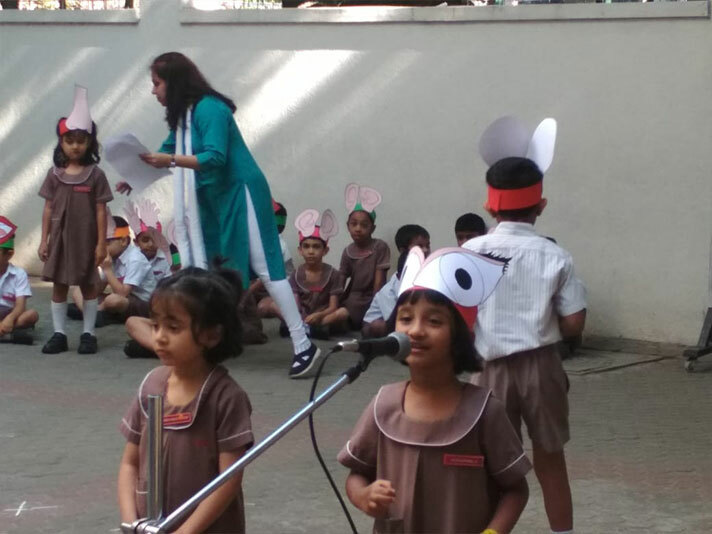 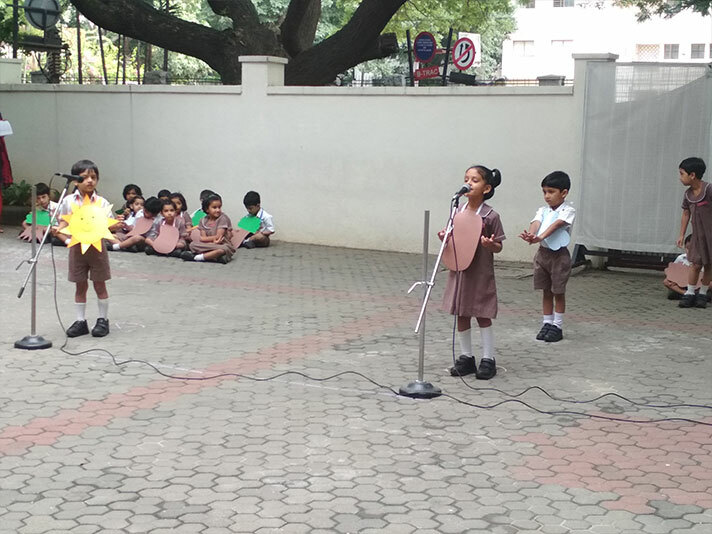 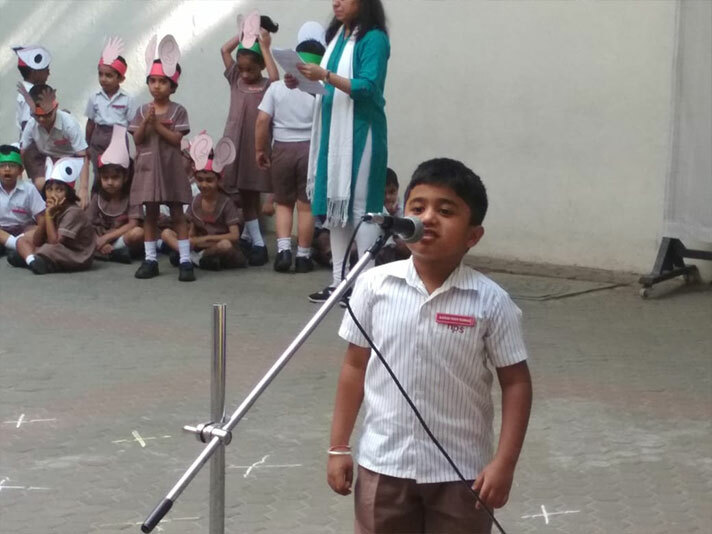 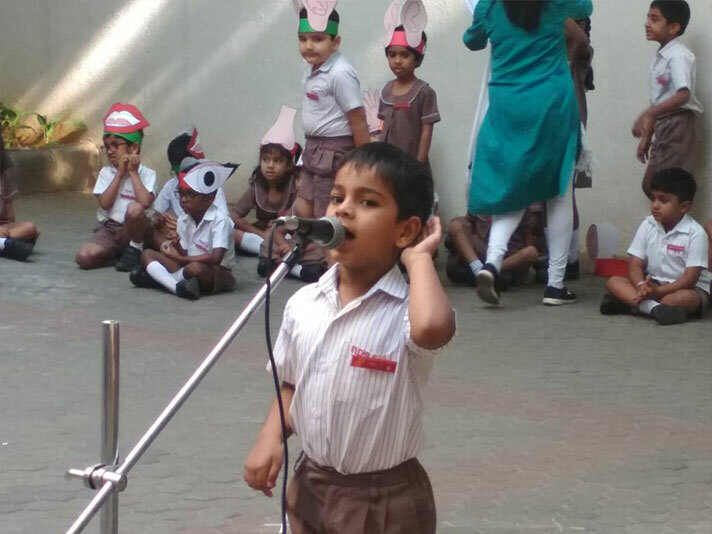 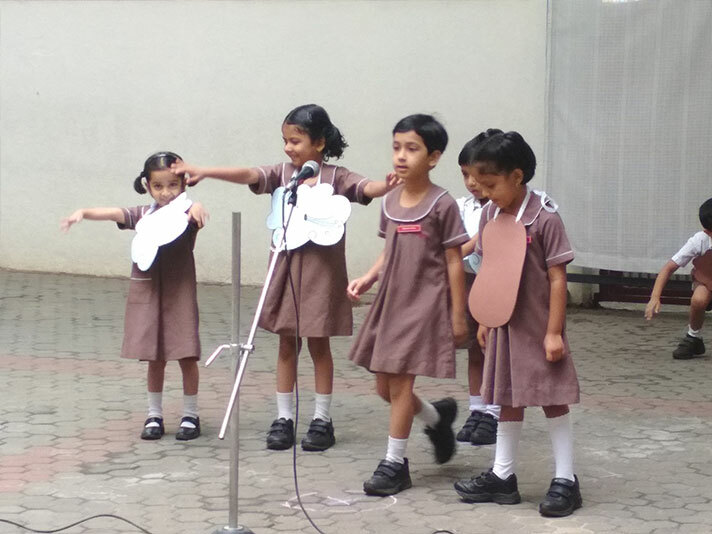 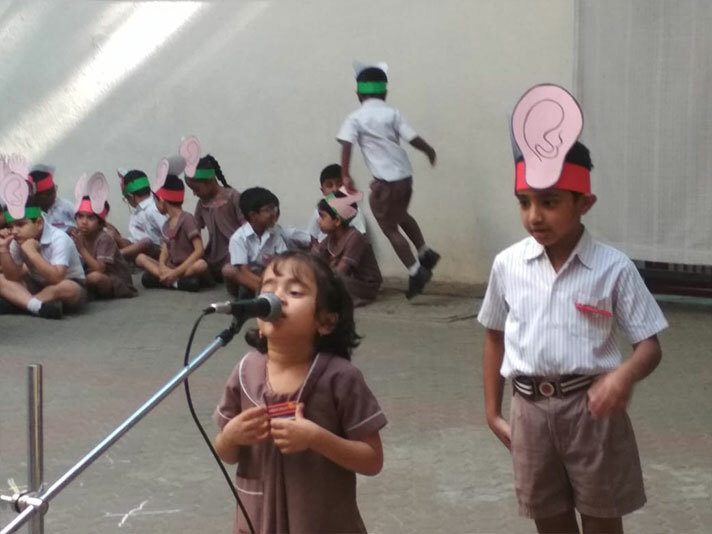 The topic chosen for the class assembly by KG 2 students were a culmination of their EVS learning. 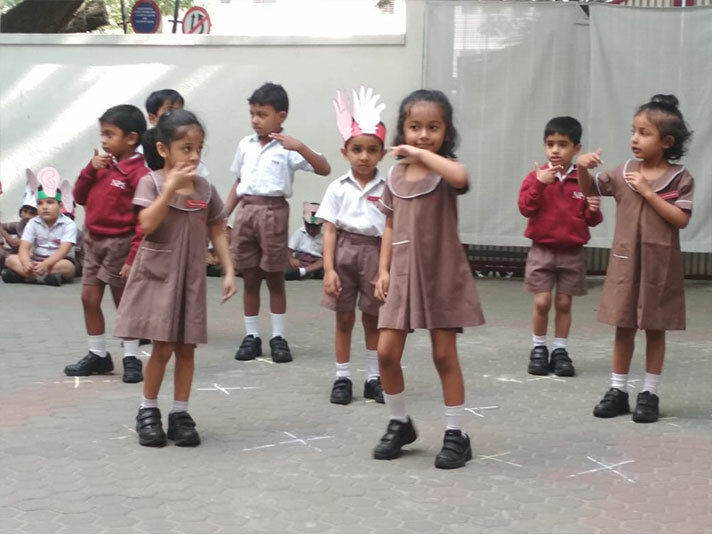 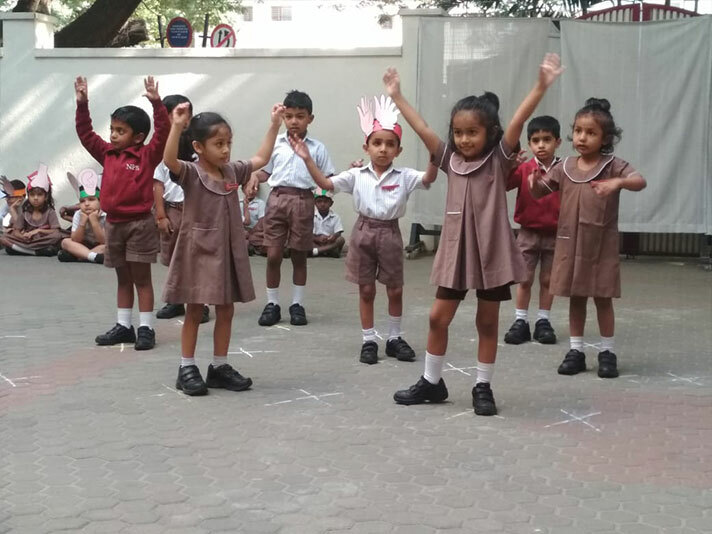 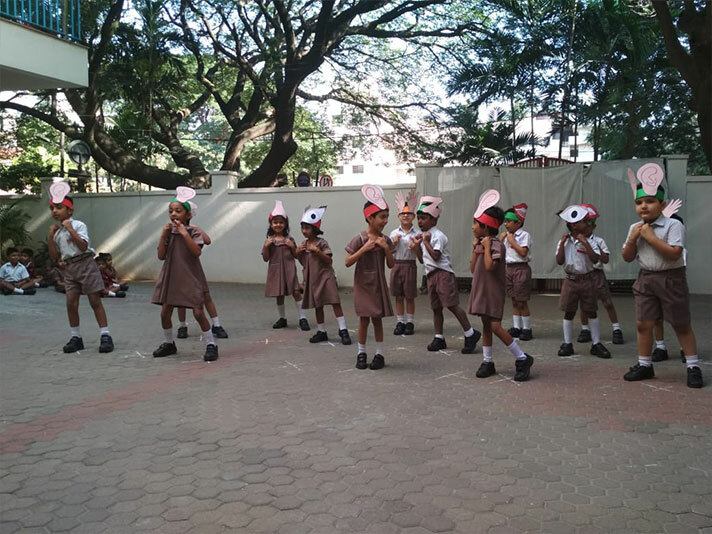 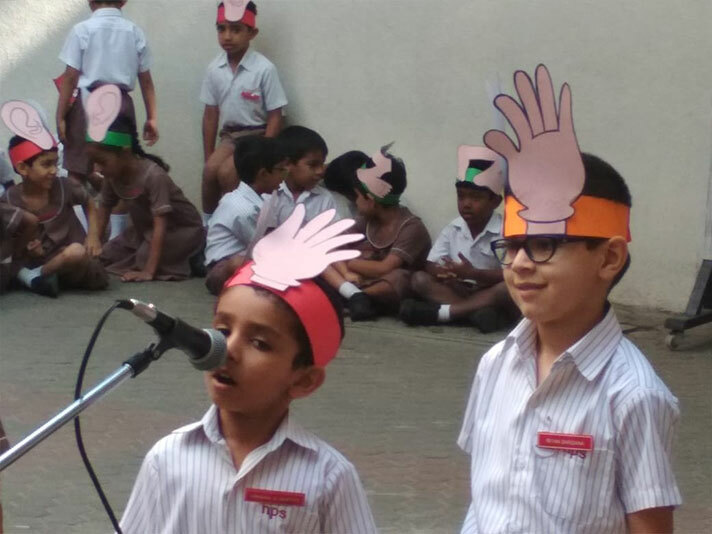 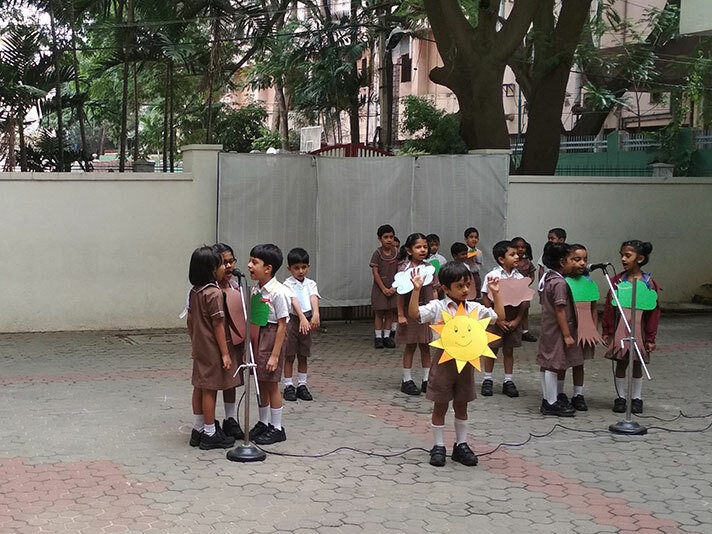 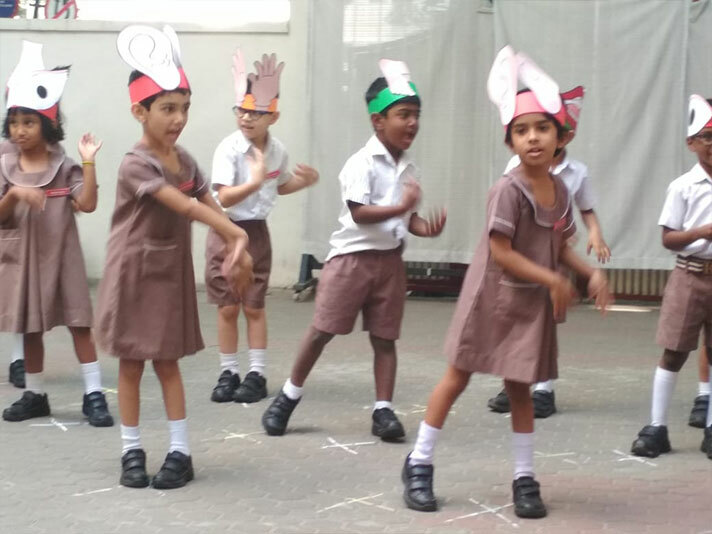 Students of KG 2A presented on the topic of Body Parts and Maintaining of Health and Hygiene, while the students of KG 2B chose the topic ‘Plant Life’ which covered the life cycle of a plant and their needs for growth and sustenance. 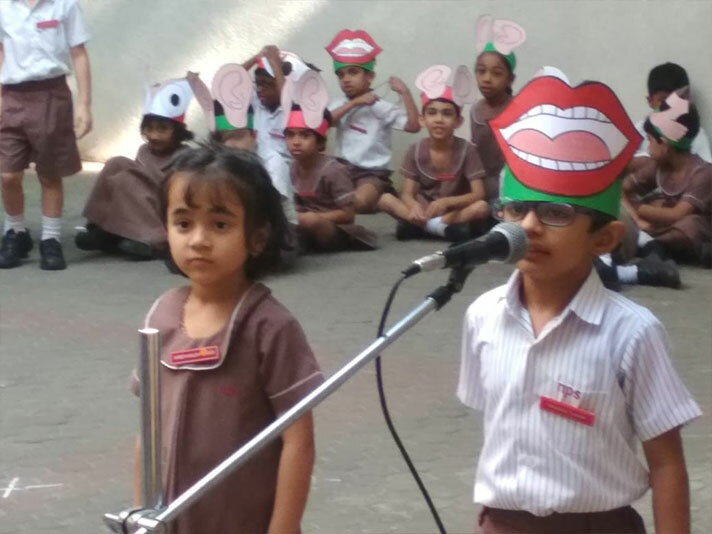 The participation of students was enthusiastic, and they showed keen eagerness to put up a memorable show for their peers. 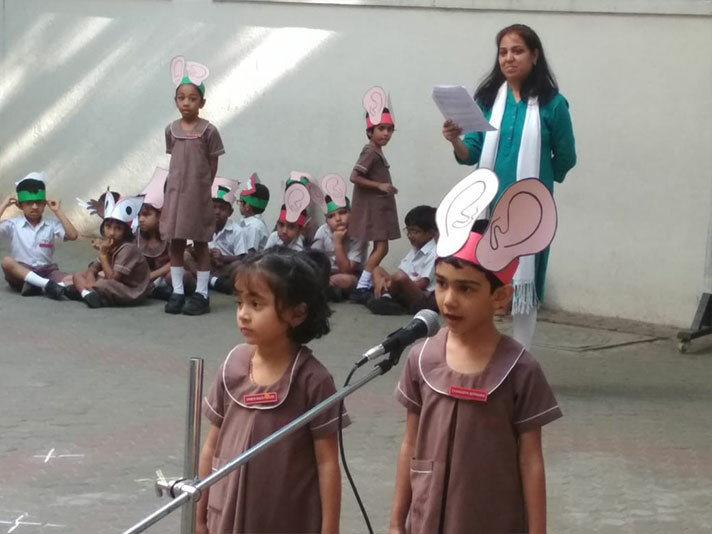 Their dialogues were delivered with ease and confidence. 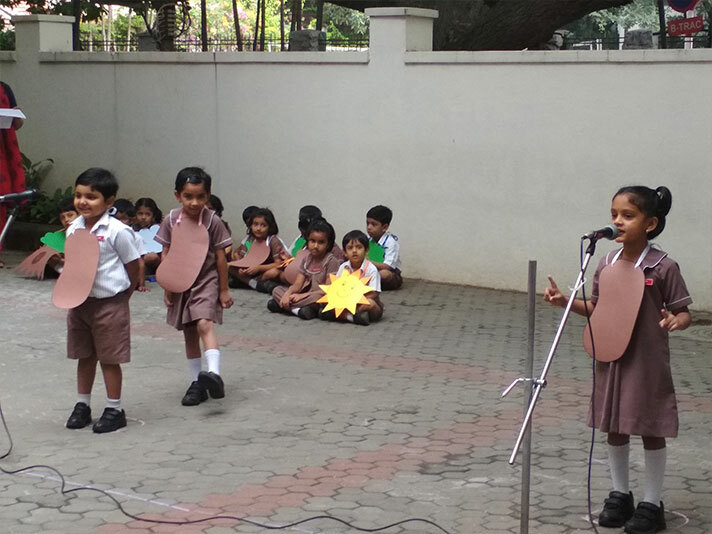 The enactment of scenes was exemplary, and conveyed an intimate understanding of the subject matter. 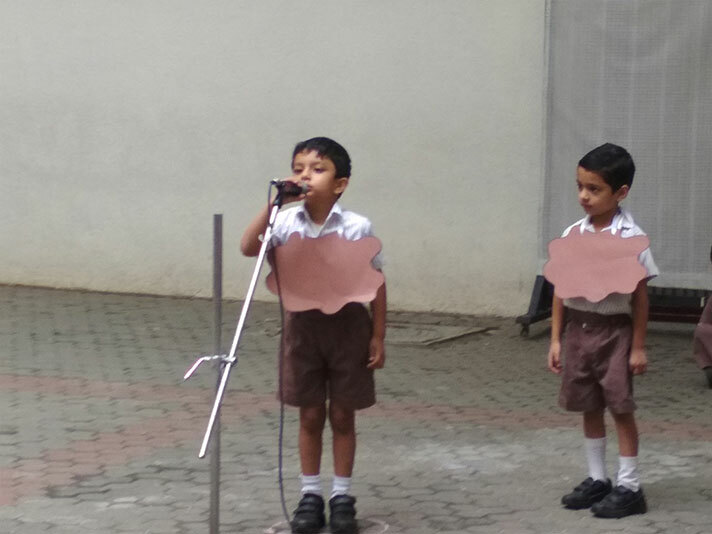 Overall, it was a commendable effort presented with a lot of passion.